With a determined effort to reduce my refashion piles, I quickly turned two more pillowcases into two skirts for my niece, Tova. As much as I love refashioning pillowcases into skirts, fingers crossed I found all the extra pillowcases in my stashes. I had one remnant of a grey floral pillowcase from Shelby’s skirt, and unfortunately, I needed a teeny bit more fabric for the casing. So, I used one tiny last remaining piece from a white pillowcase to finish off the casing for the waist. 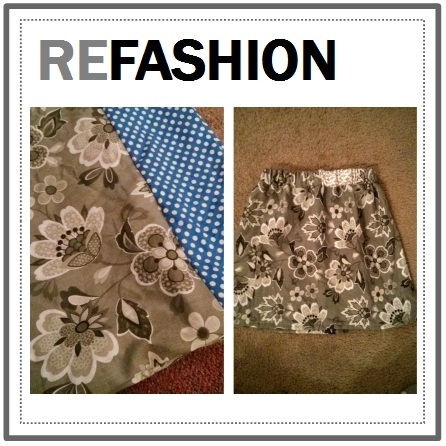 After hemming the bottom of the skirt and inserting the elastic in the casing, Tova’s grey floral skirt was completed! Yay! I just hope she can find a shirt to match the skirt because I personally would wear a nice black tee. For a girl who loves pink and purple, I wonder if she has a black tee. From the first light grey pillowcase I made a cute little wrap skirt for Tova, but it had some minor issues. 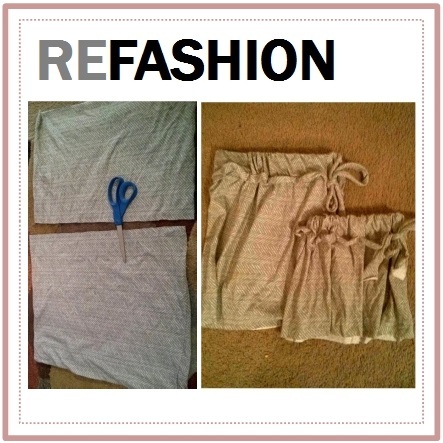 Instead of fixing the problems, I made a simple elastic waist skirt from the second light grey pillowcase. I cut the pillowcase to Tova’s preferred length, and I opened the cuff of the pillowcase to insert the elastic. Because the fabric is knit jersey NO HEMMING NECESSARY! Yay! With the remaining fabric I created a matching skirt for my other niece, Shelby. 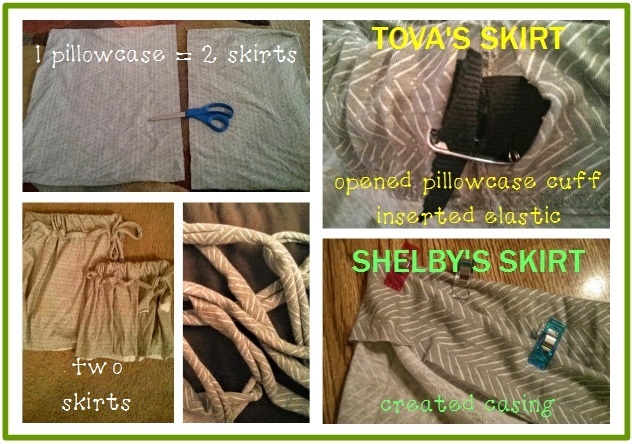 Once I had my hands on Tova’s imperfect skirt, I used some of the fabric to create faux drawstrings for the new skirts. All that’s left is Tova and Shelby need to hang out more often and wear their matching skirts at the same time. Fingers crossed my measurements were correct.